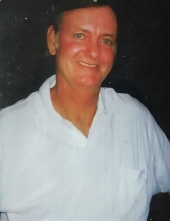 Mr. Edward B. Sarnecki, age 66, of Cedartown passed away in his home on December 3, 2018. The son of the late Edward J. Sarnecki and Mary V Gallagher, he was born in Cleveland, Ohio on May 16, 1952. Mr. Sarnecki could do anything, remembered by friends and family as a jack of all trades. He loved family, fishing and football. Mr. Sarnecki never gave up hope that one day the Miami Dolphins would win big. He had a heart of gold and was always there for anyone who needed him. He will be sorely missed but all who loved him know they will see him again. Mr. Sarnecki was a husband to Jill Burke, a loving father of Christy Cooper, Eddie Vennard, Heather Burns and step-father to Morgan Burke and Mari Burke Vaniman. He was also a beloved brother of Sandy Charboneau, Deena Silverthorn, Shelley Webb, Mary Rollins, Jeanne Mace, Paul Sarnecki, Leslie Kelaris, John Sarnecki, and Lauren Coppedge. Services will be held at St. Bernadette's Roman Catholic Church on Saturday December 8, 2018 at 12:00pm. The Smith & Miller Funeral Home of Cedartown is honored to serve the family of Mr. Edward Sarnecki. To send flowers or a remembrance gift to the family of Edward B Sarnecki, please visit our Tribute Store. "Email Address" would like to share the life celebration of Edward B Sarnecki. Click on the "link" to go to share a favorite memory or leave a condolence message for the family.